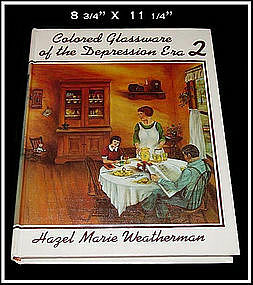 This is the Bible of Depression Era Glassware and elusive glass information. If you have glassware that you haven't been able to identify, this book will probably be able to help you. It has been out of print for at least 10 years and this is from the 2nd printing in 1977. It was actually sold at a glass show we put on here in Toledo in 1981. It is autographed by Hazel Marie Weatherman and dated Sept 27, 1981. Excellent condition! Over 400 pages of quality information! Unused condition. 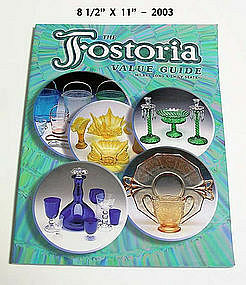 Post 1986 Homer Laughlin China Co. Fiesta ID and value guide. 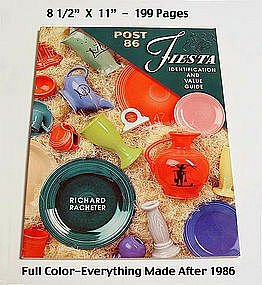 Covers all Fiesta after 1986, including new patterns and decals and special orders up to 2003. 199 pages in full color. 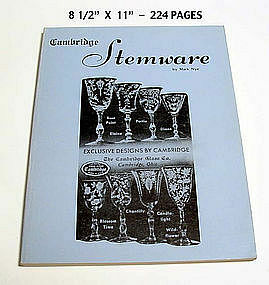 Unused 1985 Cambridge Stemware and pattern ID book. Soft cover, excellent condition, 224 pages. Covers Cambridge Glass from the beginning to factory closing. 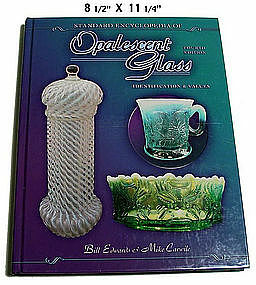 Opalescent Glass 4th Edition Excellent! New condition "Opalescent Glass" ID and Values Guide 4th edition by Bill Edwards and Mike Carwile. 256 pages in full color with price guide. All books will be shipped @ book rate unless otherwise desired. Unused.